You’re driving from Sioux Falls to Mitchell to visit friends, and you see a large piece of equipment with wide arms and big tires driving through the soybean field toward your vehicle. After a closer look, you see it’s spraying something. Is it water? Is it a pesticide? Should you be concerned about your safety? Your answer might depend on what you know about pesticides and how farmers apply them. Since most people don’t get a chance to stop by a South Dakota farm to get the scoop firsthand, we decided to bring the process to you. 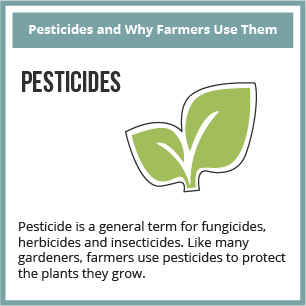 First, let’s start with the basics: What are pesticides and why do farmers use them? Paul Johnson is a weed science coordinator at South Dakota State University in Brookings. Paul grew up on a crop and livestock farm near Sisseton. His dad served on the county’s noxious weed board and Paul started spraying crops at the age of 12. It’s easy to see why Paul describes himself as a “weed-fighter,” even though pesticides aren’t just used to eliminate weeds. “Pesticides is a term used to describe a substance that controls weeds, insects, diseases and other organisms to protect and grow healthy crops,” said Paul. The three main types used on South Dakota farms are herbicides to control weeds, insecticides to control harmful insects and fungicides to control certain types of diseases. Though they may seem small, insects, weeds and diseases can quickly take over fields and cause big losses. 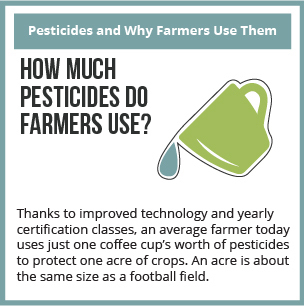 Farmers use pesticides to stop the damage and save their crops. To act quickly and safely, they need the latest research and product information at their fingertips. That’s where Paul and his team of extension specialists come in. They conduct field research throughout the year and share what they learn online and in educational sessions to help farmers identify and treat the problems they see in their fields. “Part of my job is to monitor crops and compare what I see to previous years. We alert farmers if we see a problem so they don’t get caught off guard,” explained Paul. Top pests he watches for are soybean aphids and grasshoppers that devour plants and grasses quickly. Waterhemp, kochia and marestail are weeds that take over fields and compete with corn and soybeans for sunlight, water and other resources. 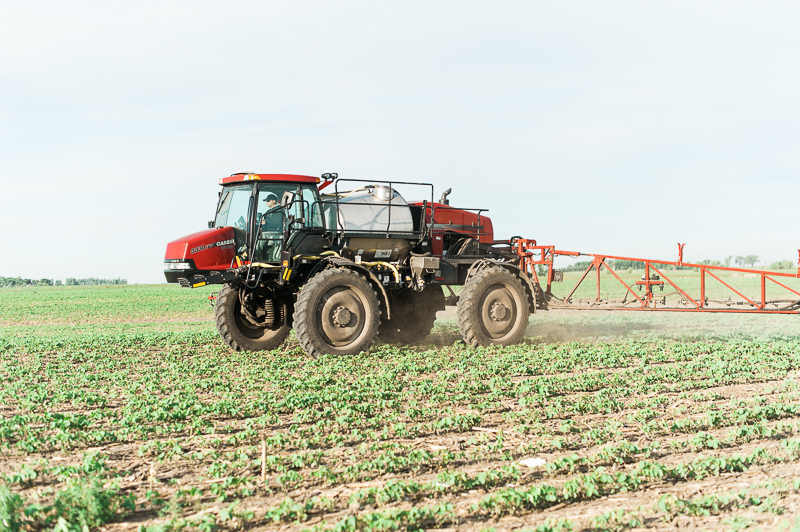 You might ask yourself, “Can anyone just climb up in the sprayer and start applying pesticides?” The fact is, South Dakota farmers must be certified to apply pesticides. They attend classes to help them select products, learn how to apply them and make plans for each growing season. If they have an unexpected issue, they talk with specialists like Paul to make the safest choice. In addition to pesticides being safer, farmers today also use less to get the job done. How Much Pesticides Do Farmers Really Use?